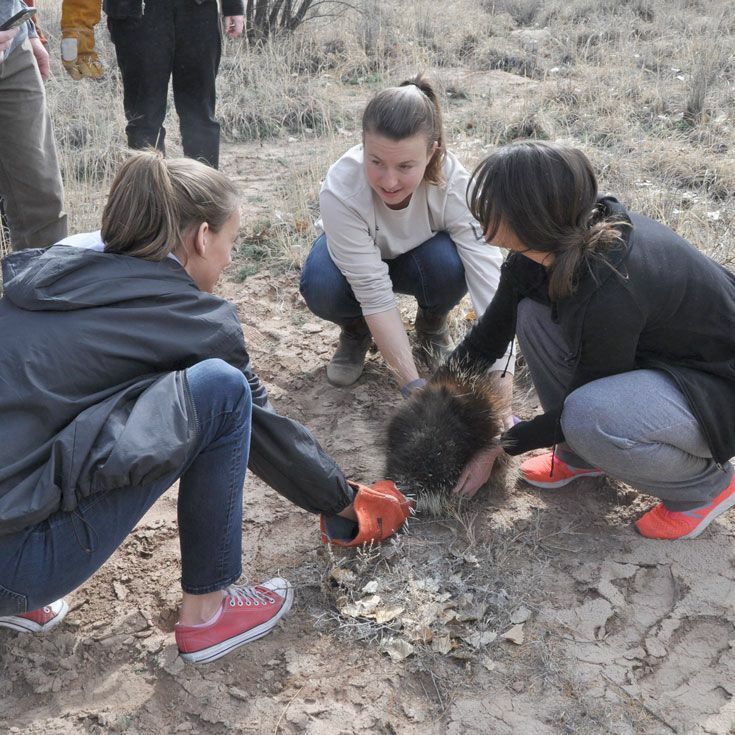 On a recent Wednesday morning, Wildlife Conservation Biology students gathered excitedly in the bosque near the school, armed with all of the gear they'd need to capture and collar their first porcupine in two years. This collaring would kick off a new series of porcupine tracking—a continuing effort which allows for valuable research to be conducted and important questions answered about the bosque-dwelling rodent—something Bosque staff, faculty, and students have become experts in over the last two decades. 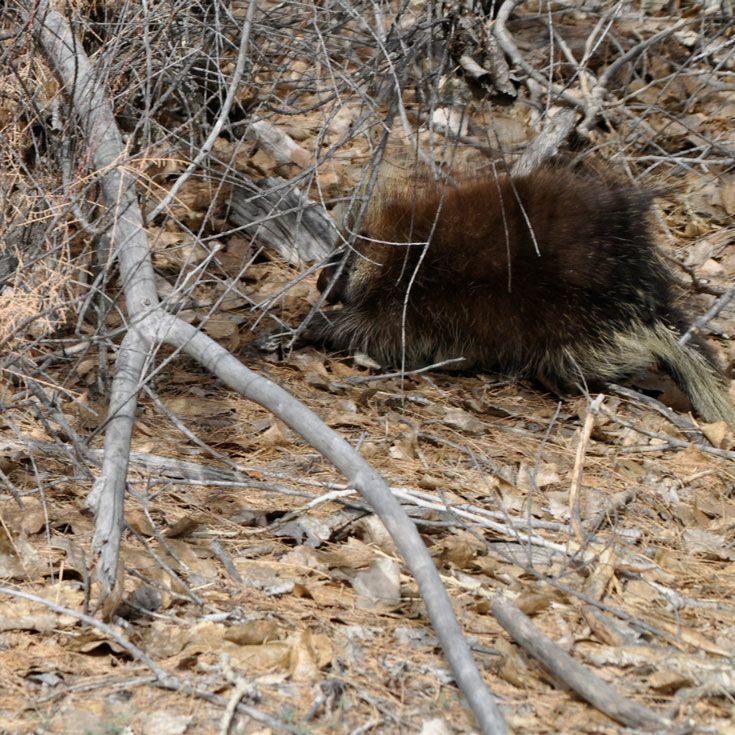 Tracking allows Bosque scientists to monitor such information as a porcupine’s home range, whether it overlaps with that of another porcupine, if males and females occupy the same spaces at the same times, and their longevity. 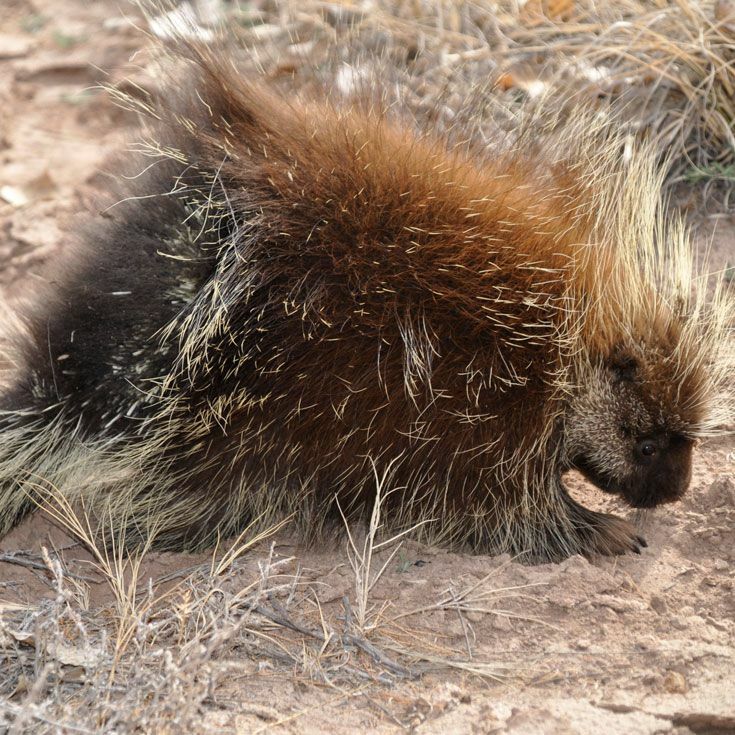 On this particular day, while all went smoothly with efforts to capture, sedate, and get quill and hair samples from the animal, ultimately, its small size—weighing in at just under 10 pounds and a circumference of 55 cm—prevented the group from actually putting a collar on the porcupine, which was determined to be less than a year-old. But, as happens with porcupines handled, it was microchipped, which will allow the group to know if they encounter it again.It also allows for stats to be compared over time. 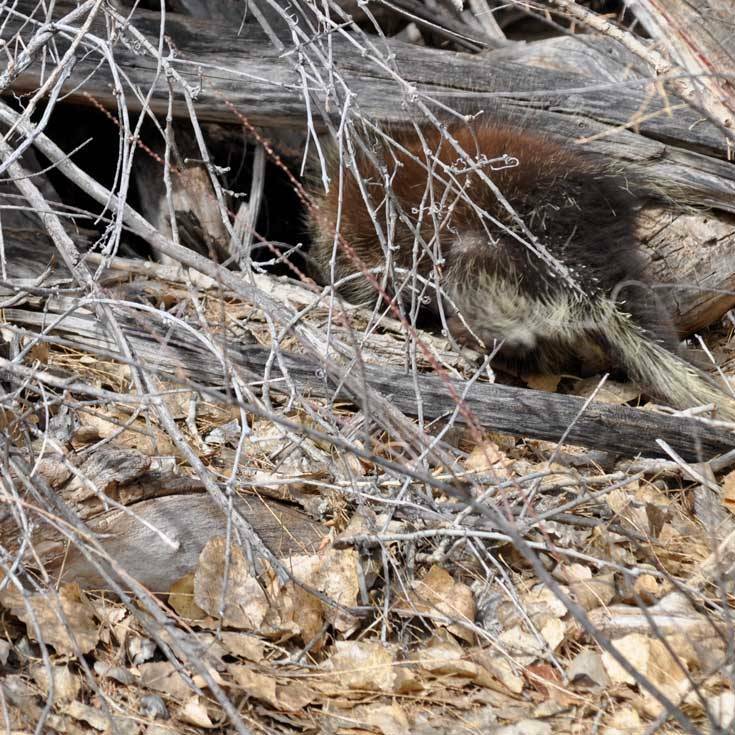 Bosque School today can look back at its long history of porcupine work which, over the years, was built from the basic premise of kids doing science that matters, doing it beyond the classroom, and building from their own questions. But, it didn’t start out with porcupines-as-research-subjects in mind. 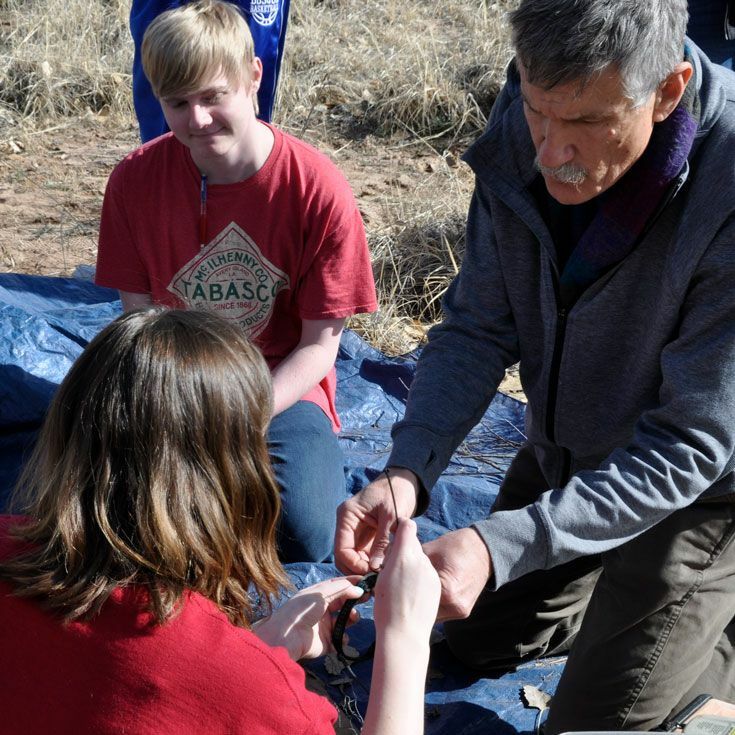 In fact, it was very much the “building from their own questions” approach that Bosque’s porcupine research, which is now well-recognized in the scientific community, was started in the very first years of the school’s opening. 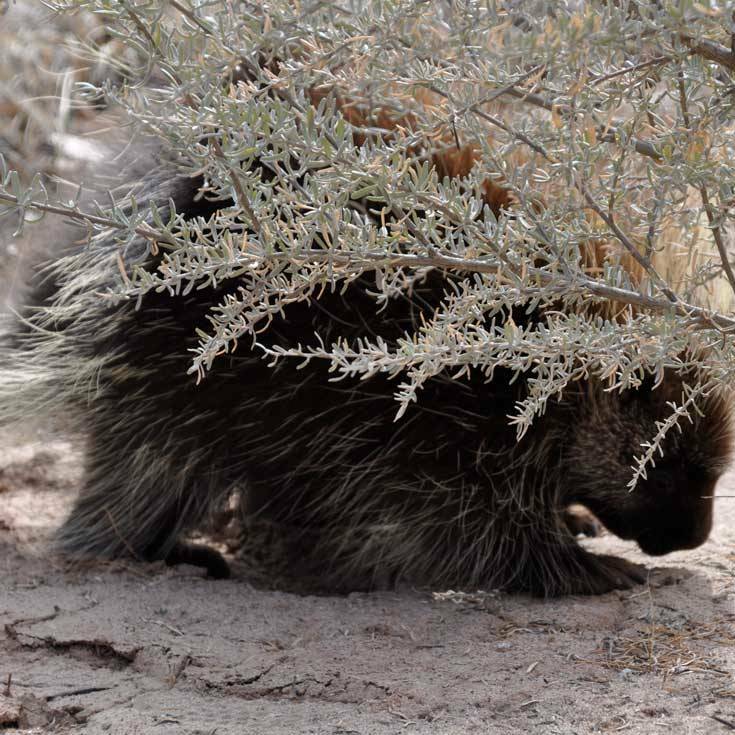 Mr. Shaw said they looked to already-existing research to answer students’ questions, but there was little scientific research at that time which had been done on porcupines, and even less on porcupines of the Southwest. So, they took their questions and sought answers through their own research. 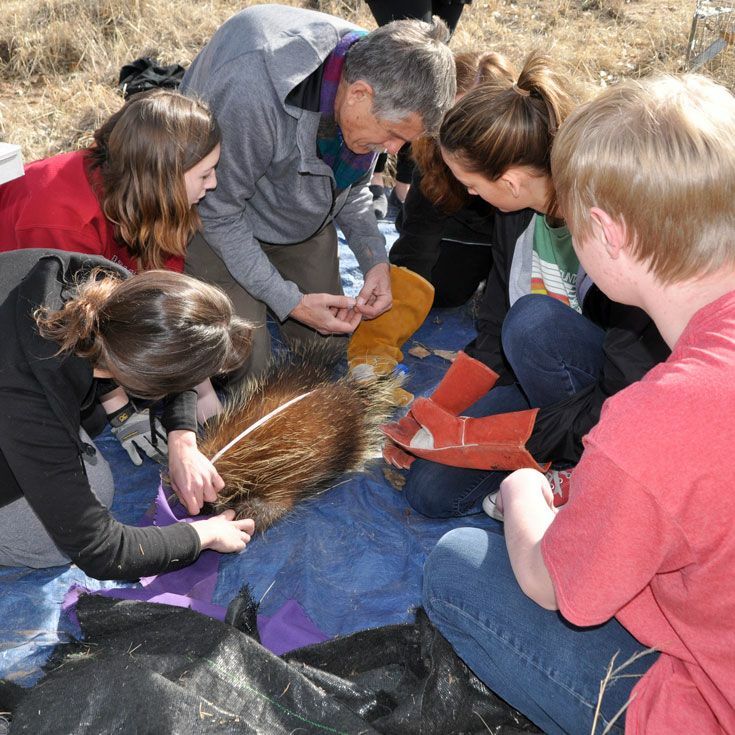 “Porcupines created such a wonderful opportunity because to understand the bosque, you need to understand the river and its forest; the porcupine serves as an ambassador to inquiry,” he said. The opportunities that porcupines created have truly been remarkable. 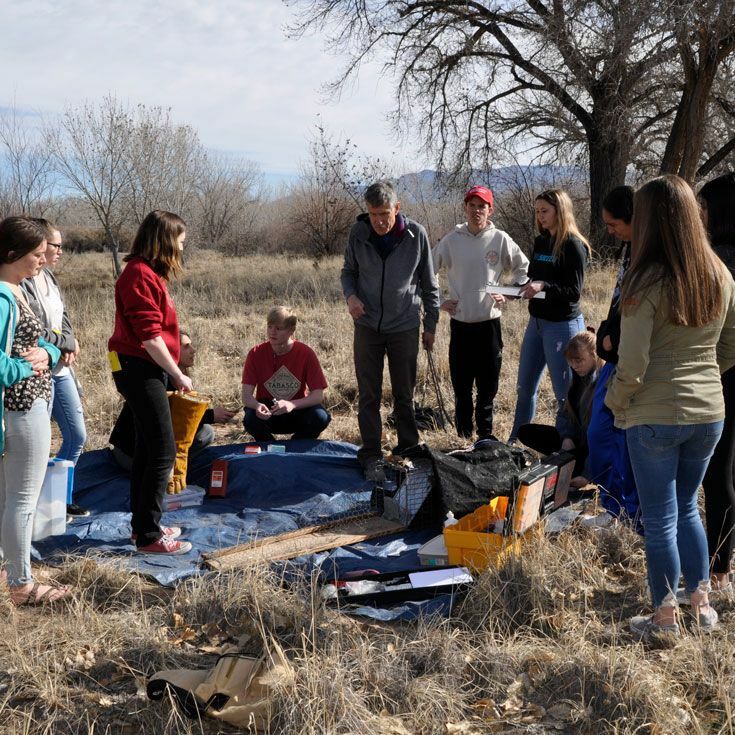 From supplying information to the scientific community, to shaping the careers of Bosque alumni, to influencing Bosque’s current students, their ripple effect is evident. After her junior year, Ms. Elder lobbied Mr. Shaw to allow her to continue to be involved with porcupine research. “He said ‘Yes, you can make a poster and describe the porcupine work we’ve been doing,’” she said. One of those students, in addition to others outside of Bosque School through BEMP, is Elena ’22. Elena’s interest in porcupines was piqued in 6th grade as she sought solutions to problems in the bosque as part of her inquiry project. Elena said she has since fallen in love with working with animals and the people whom she works alongside. Over the last couple of years, Elena, with a friend, has had a chance to present on porcupines at the Nature Center. She’s also participated in a radio show called Children’s Hour on KUNM. “I never would have thought in the 6th grade that this project would have carried on...it’s just so amazing,” Elena said. “I feel really lucky to interact with these animals in daily life. It’s so cool to be up close and personal with something like that and have a unique experience to my area and to my school.” Elena said that years ago she had aspirations of becoming an actress; those aspirations have now turned to working with animals as a career. For Mr. Shaw, the best part of his involvement with the science-beyond-the-classroom approach is the active learning he gets to do. Ms. Elder is one such expert.